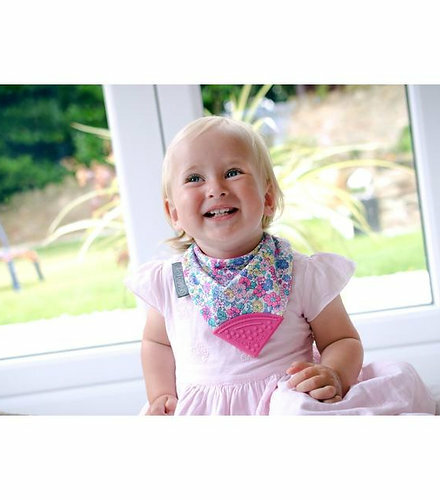 The unique textured teething triangle is designed to help your baby chew away their teething troubles, helping to ease your little one's pain by encouraging chewing and helping the teeth to break free! 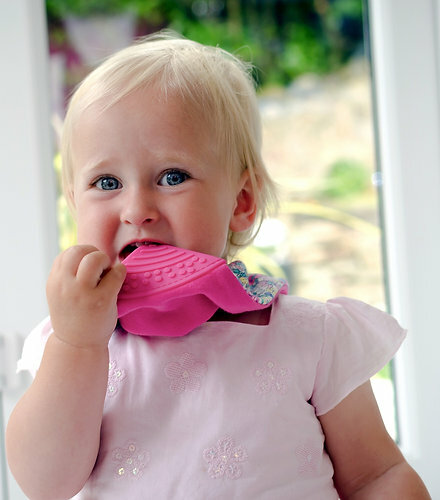 The teether is tactile, durable, washable and safe. 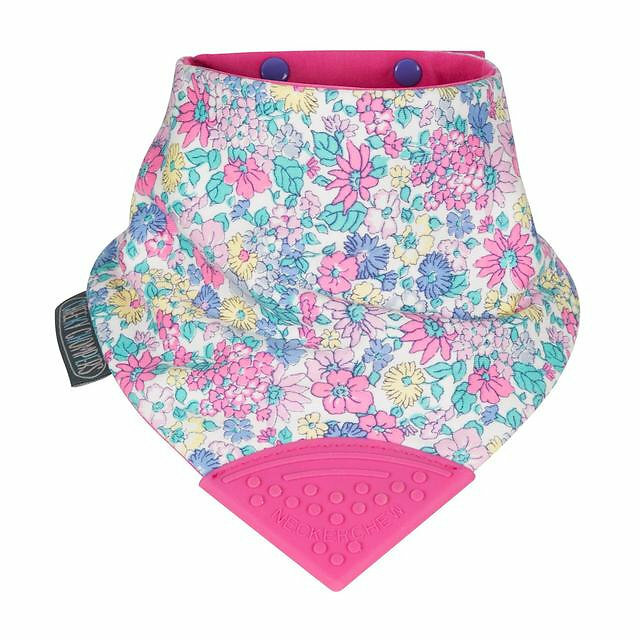 This material contains no phthalates, will never flake or peel and is 100% safe for your baby to chew on. 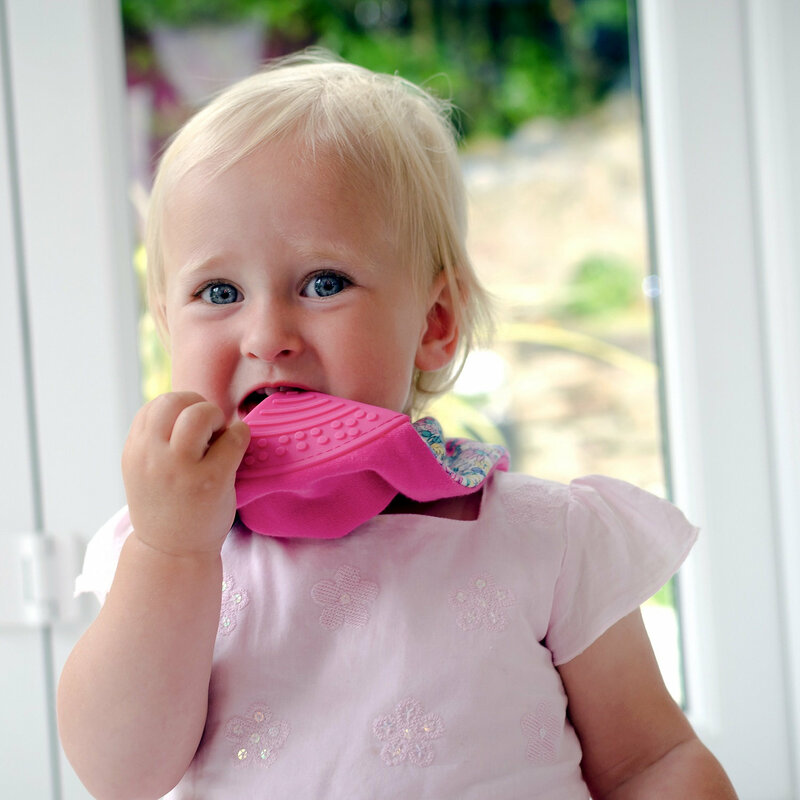 One less thing to pick up in your day! 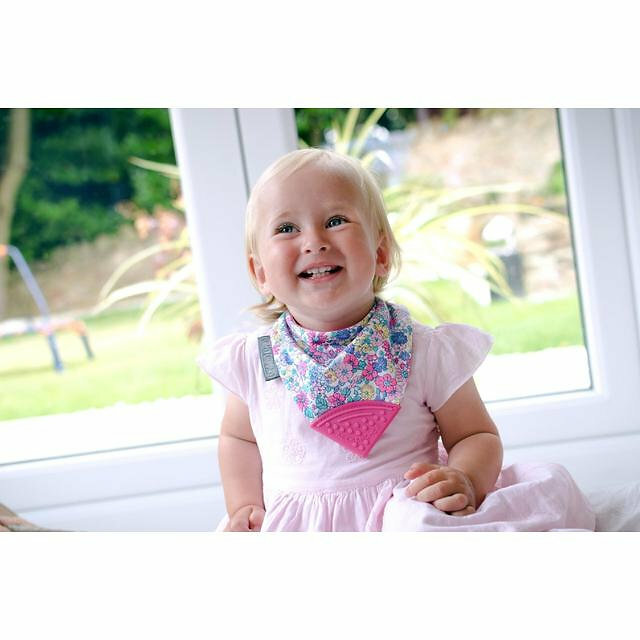 This attached teether can't be lost, dropped or thrown at will... a hygienic teething solution you can't lose! 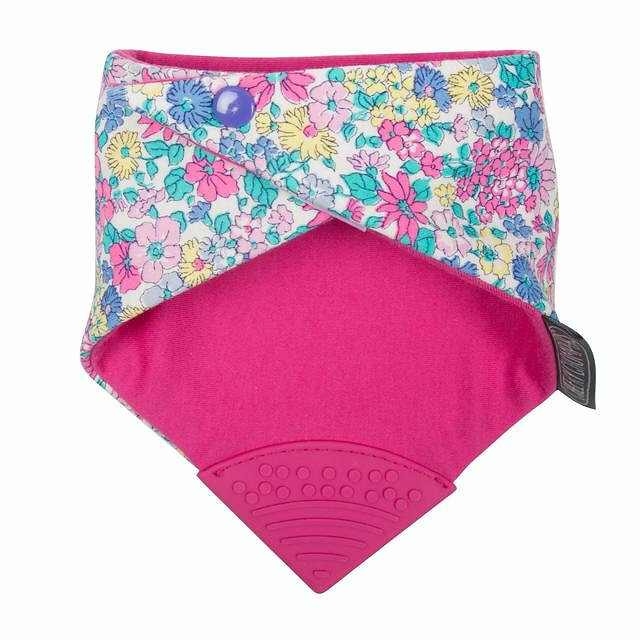 The soft, super absorbant cotton with a hidden extra middle layer designed to lock in moisture, will help keep your little ones chest dry for as long as possible and looking good all day, catching all that dribble. 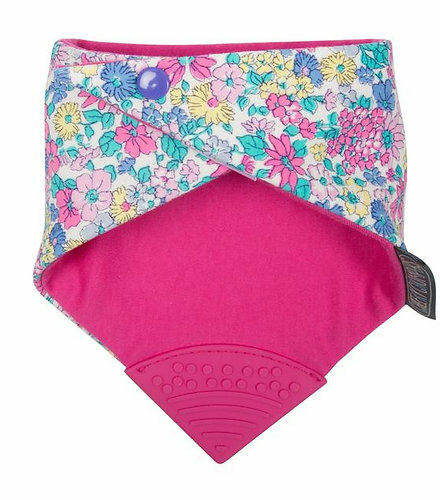 Each Neckerchew gives you 2 bibs in 1, with two stylish sides to choose from so your teething tot can dribble and chew in style. 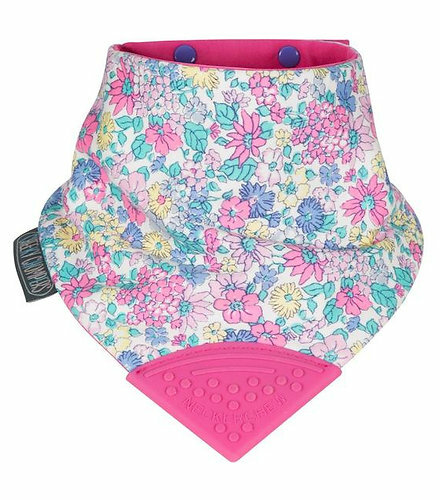 These reversible bibs offer a stylish option to match any outfit or conquer any messy catastrophe!